Spin classes are a great bike based workout, this high intensity class will burn calories while improving your cardio vascular fitness. 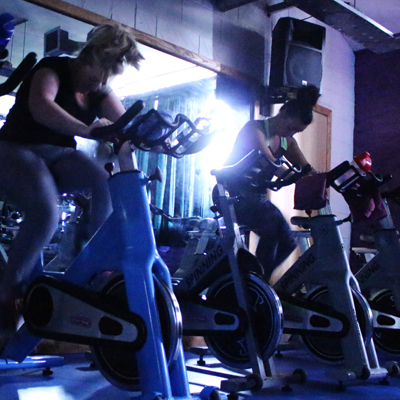 Don’t panic if you’re a beginner to spin you can work at your own pace in this class. 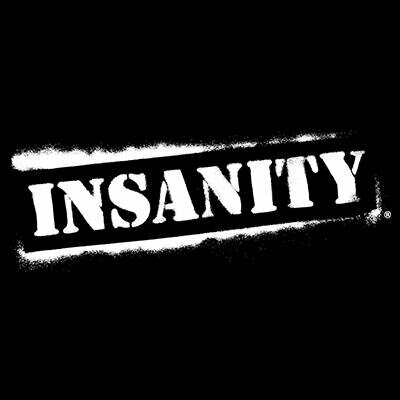 Not for the faint hearted this revolutionary cardio based class is High Intensity Interval Training at its best, using cardio and strength based exercises for a total body workout. An all over body conditioning workout aimed at sculpting and strengthening the muscles in the body using a wide variety of equipment. This approach ensures that the body is constantly challenged and you will see progressive results. From beginner to the more experienced, this class can be adapted for all levels. An exercise class based on the training concepts boxers use to keep fit. 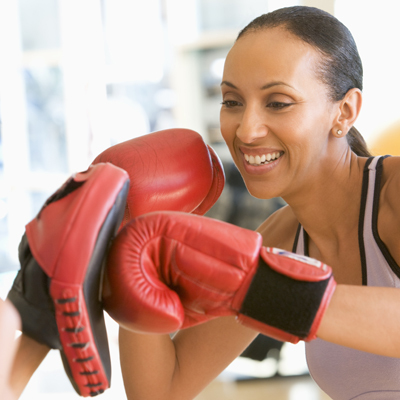 A typical class may involve shadow-boxing, skipping, hitting pads, kicking punchbags, press-ups, shuttle-runs and sit-ups all sure to give you a all over workout. 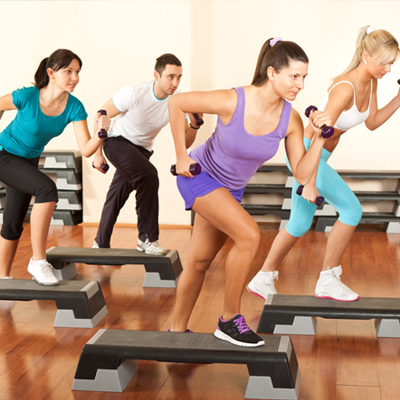 This circuit style class incorporates strength and cardio exercises into one high impact class. Not suitable for complete beginners this class is sure to keep you on your toes with a different plan every week. A gentle fun low impact class in the pool. This is a class to suit all fitness levels. 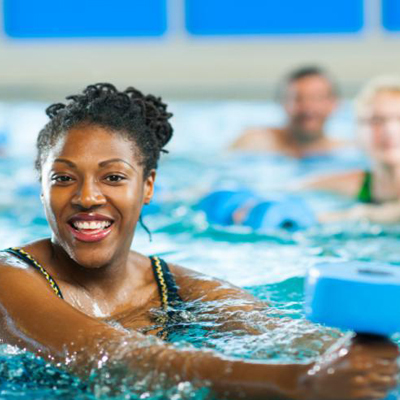 As the water reduces impact on the joints by supporting up to 85% of body weight this is perfect environment for those with injuries or limitations. 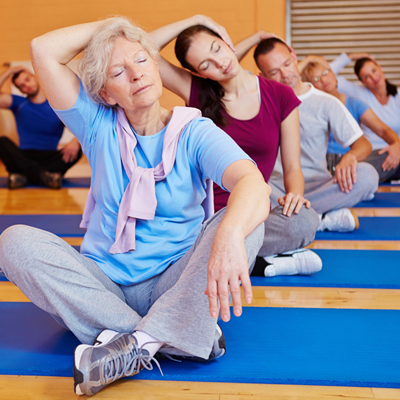 Breathe, stretch, lengthen and strengthen your body in this gentle yet invigorating exercise class. The perfect way to unwind and open up your mind and body. Regain your sense of inner calm with this gentle series of individual yoga postures, breathing techniques and stances. 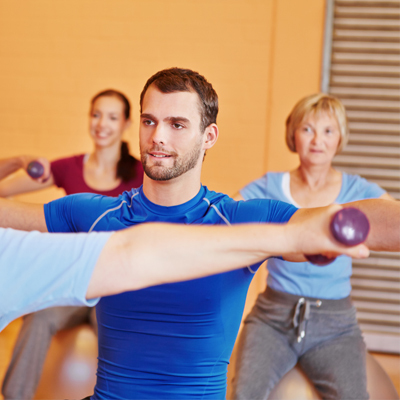 Pilates is a mind & body conditioning class that targets the deep postural muscles of the core to improve overall stability and posture for the prevention and rehabilitation of musculoskeletal injuries. A faster paced, flowing style of yoga that builds lean, toned muscle. A series of postures are linked together in a continual movement. Move from one move to the next as you inhale and exhale. A circuit based class designed to sculpt and shape. 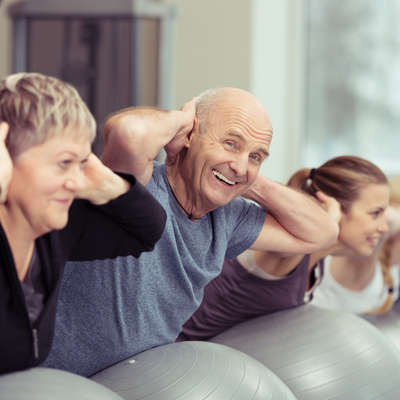 This fun class includes cardio and toning exercises and is suitable for all to take part. A fusion of Latin and International music / dance themes that create a dynamic, exciting, fun workout. 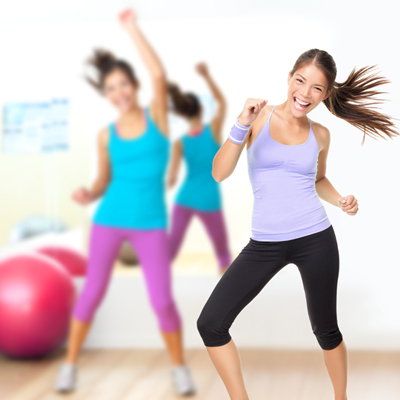 The routines feature aerobic/fitness training with a combination of fast and slow rhythms that tone and sculpt the body. Get toned muscle without added bulk whilst pumping iron to the latest beats. 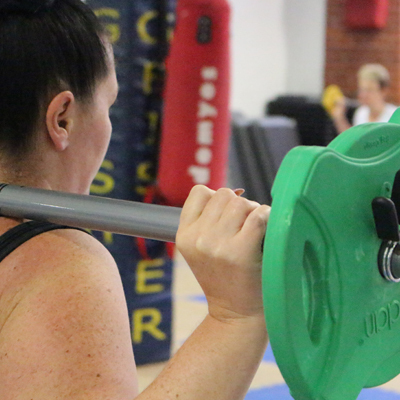 Bar blast is a non-impact resistance class using barbells and adjustable weights that target all your major muscle groups as you squat lift and curl! A more relaxed class with a mixture stretching techniques and toning exercises helping to increase core strength and flexibility while implementing full body toning. A short but tough workout focusing on High Intensity Interval Training. Proven to be one of the most fastest and effective ways to increase cardio fitness. 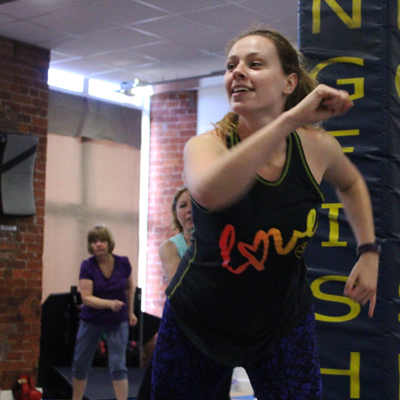 Get fit while dancing, this class is suitable for all and combines easy to follow dance moves while incorporating exercise to get you toned and improve fitness. 30 minute of pure abdominal training. This Hight intensity class is sure to give you those wash board abs. 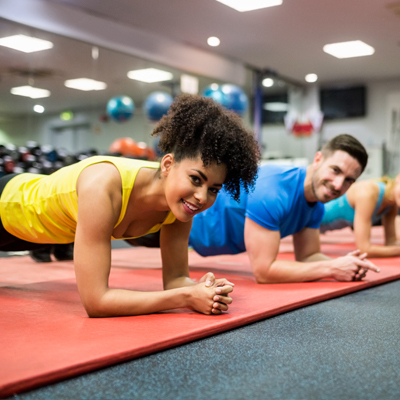 With exercises to increase fitness, strengthen your core and sculpt your abs. 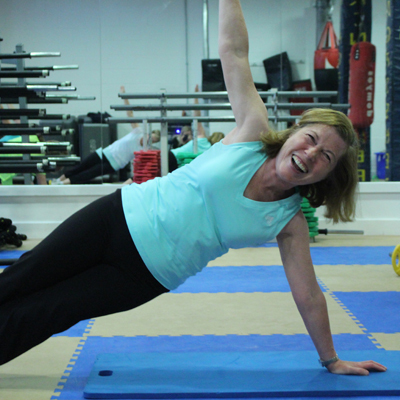 This class is exactly what it says in the name, a fun way to keep fit. this class is suitable for all fitness levels even if your completly new to excersise. Every week is different so you will never get bored of this class and will continue to get fitter by the week.